a masterpiece of minimalism. 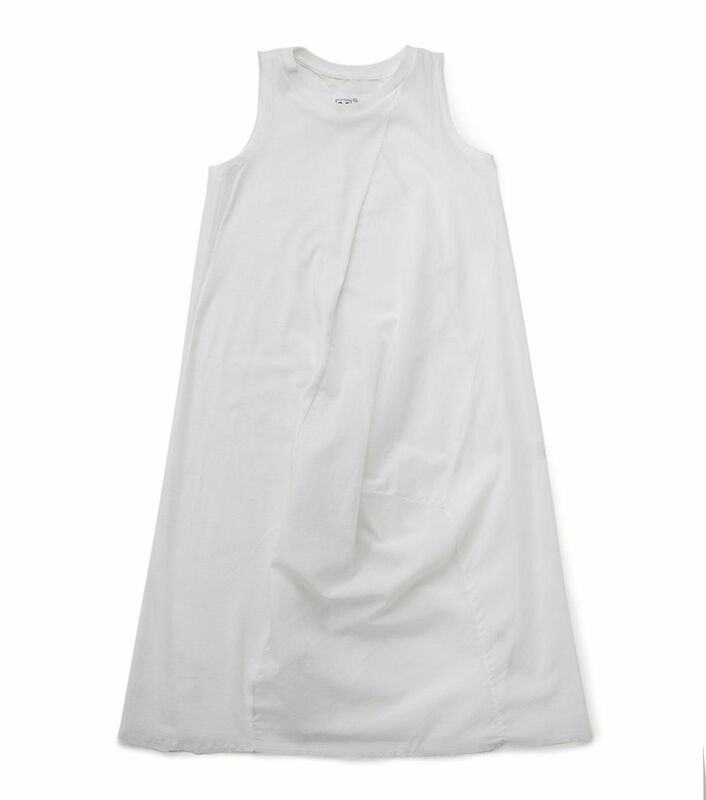 this avant-garde-ish white tank dress is cleverly constructed with panels of voile & cotton jersey for texture & design, double layered for coverage. looks & feels great for a lounging at a seaside café with the fam. add chucks for attitude.